Military justice is part of the State’s Justice, which means under the authority of the military security departments, the military judicial departments and the military procuratorial departments’ judicial power to conduct investigation, prosecutorial, trial, and other related activities. Military judicial system comprises the system of rule of law-based judicial activities conducted by military judicial organization. Military Justice is an important part of the military jurisprudence. 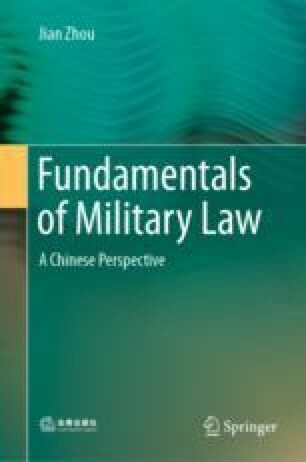 In the system of “Core Military Law”, military justice, interlinked with Military Administrative Law and Military Criminal Law, jointly form a complete theoretical and practical system of legal operation.